Upon arrival, they received their first week’s pay. It was the last they were paid for the engagement. 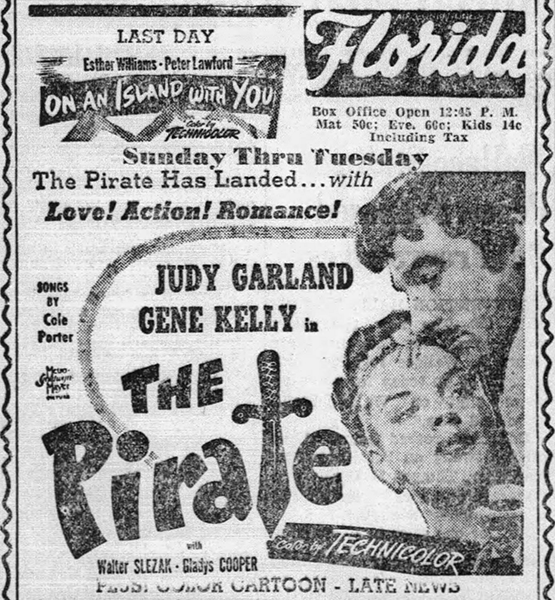 The theater folded towards the end of their third week and they never received any more money. But it turned out to be a blessing in disguise. 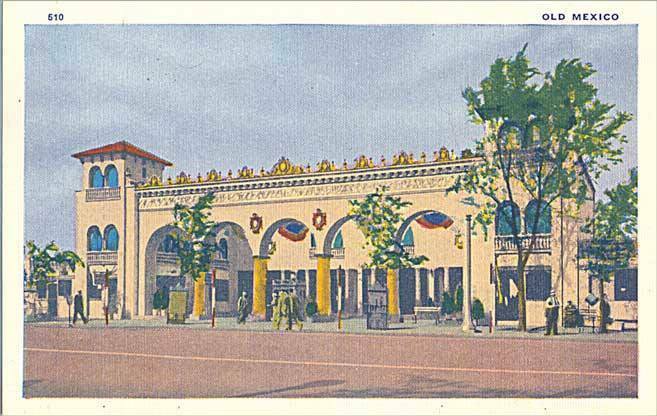 The theater folding led them to an engagement at the Oriental Theater in downtown Chicago and the name change to “Garland” thanks to George Jessel. Photos: The Old Mexico building at the fair, which housed the “Old Mexico Cafe”; A portrait of Judy taken while in Chicago. July 24, 1939: Judy at Mickey at the races. 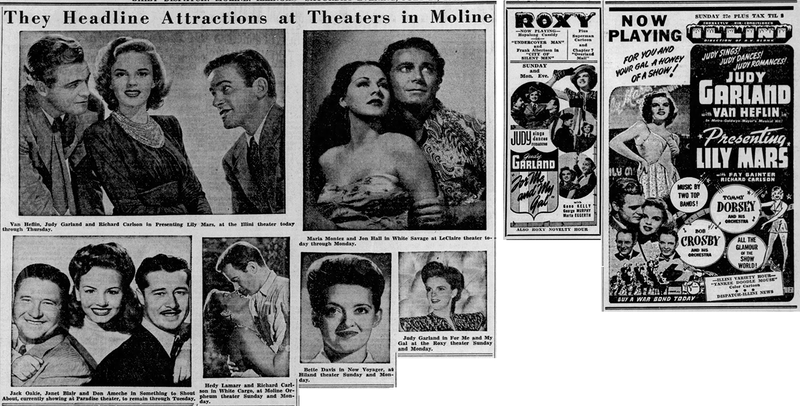 July 24, 1940: Get 2 free photos of Judy and Mickey if you go to any one of these service centers. Check out The Judy Room’s Filmography Pages on Andy Hardy Meets Debutante here. 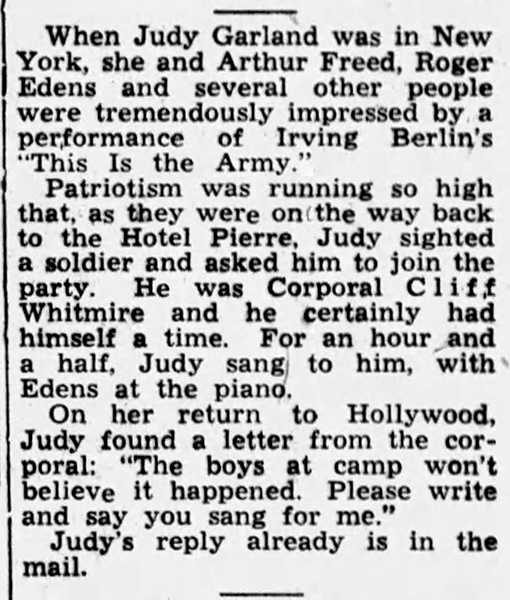 July 24, 1942: Two gossip column items. The first is from Harrison Carroll the second is from Jimmie Fidler. 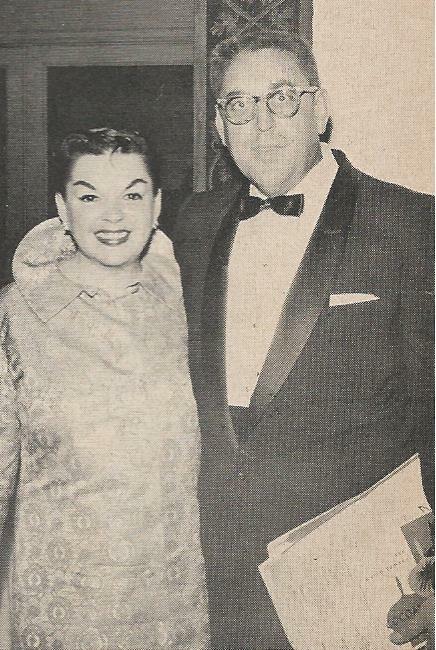 Fidler’s column is notable because he comments on the rumors about Judy being pregnant. 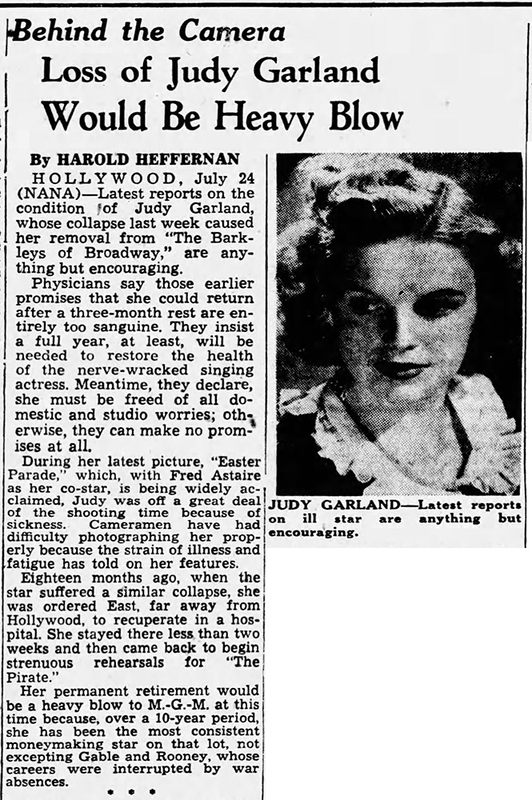 It’s been reported that around this time Judy had an abortion at the urging of MGM and her family (allegedly including husband David Rose). This column mention could be a reference to that pregnancy. It makes sense that in her excitement about the news of being pregnant that Judy would have told at least a few people. 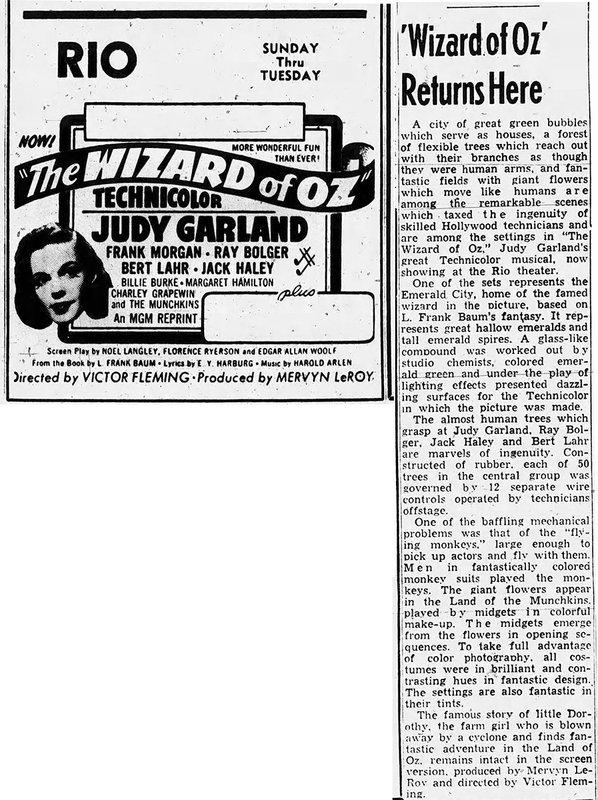 July 24, 1943: Imagine having two new Judy Garland movies playing at your local theaters. However, in Austin, Texas, the local film critic didn’t care that much for Presenting Lily Mars. Check out The Judy Room’s Special Spotlight Section on Presenting Lily Mars here. 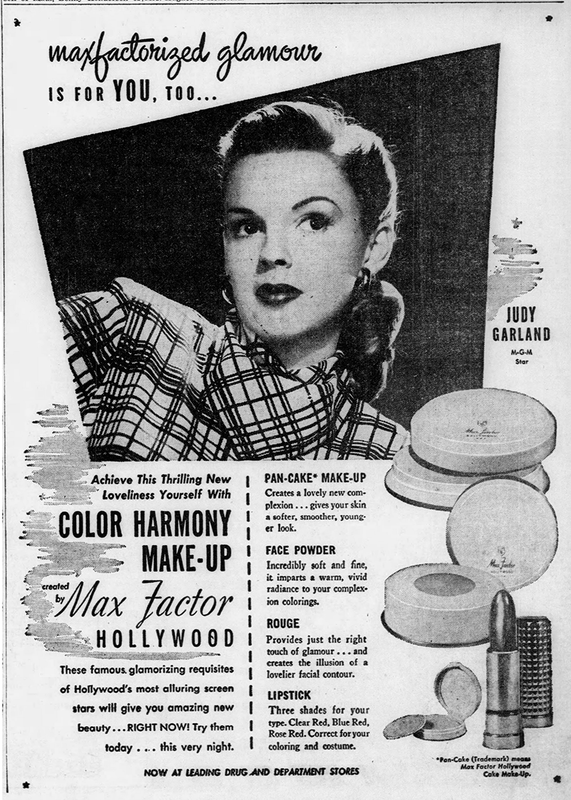 July 24, 1948: It must have been confusing for the public to read about Judy’s recent breakdown yet see her in both of her big 1948 musicals, The Pirate and Easter Parade (the latter was one of the biggest hits of the year) in their local theaters – while was also being featured in things like this Max Factor ad. 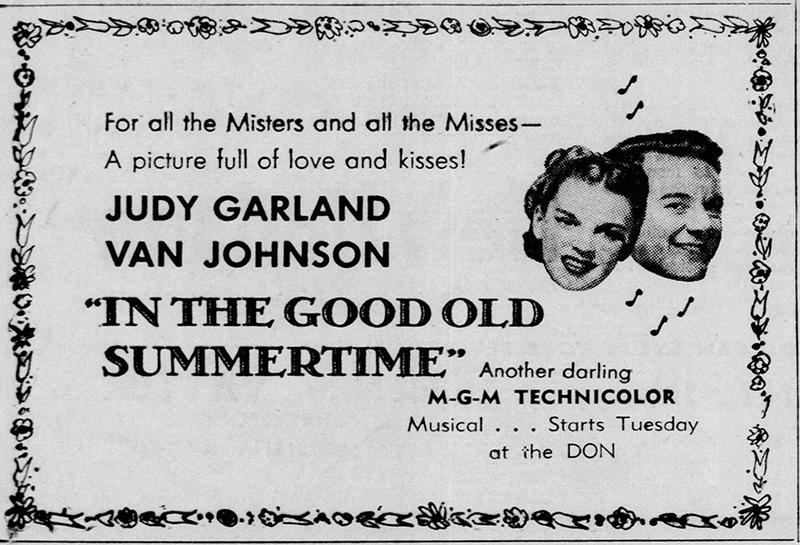 July 24, 1949: “For all the Misters and Misses – A picture full of love and kisses!” For the second year in a row, Judy had two popular films in release at the same time. 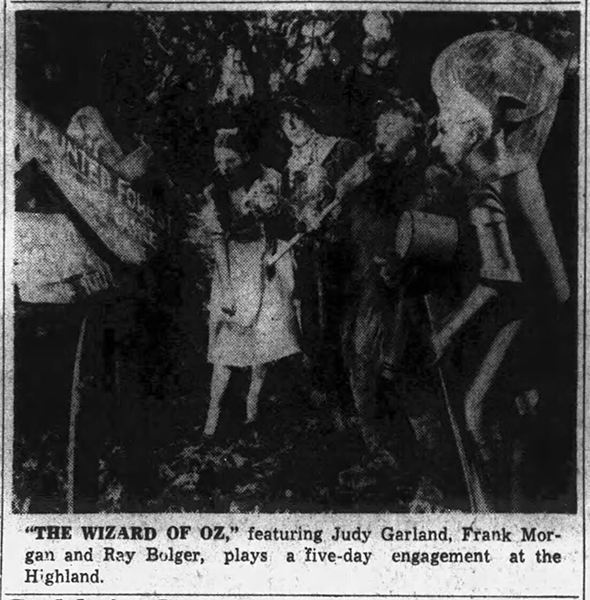 In The Good Old Summertime was opening this week and The Wizard of Oz was in its first theatrical re-release. 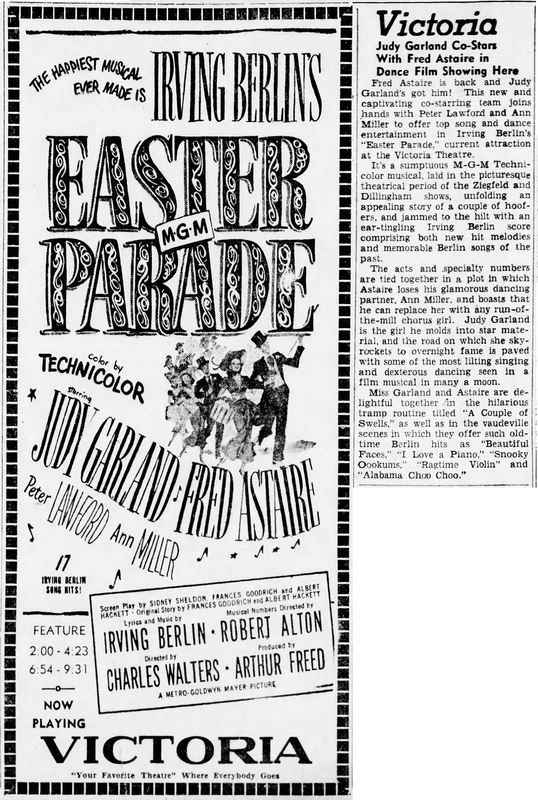 As with the events a year prior (noted above), Judy had two films doing great business while she was also in the news for a recent breakdown and being fired from a recent film project, this time it was Annie Get Your Gun. 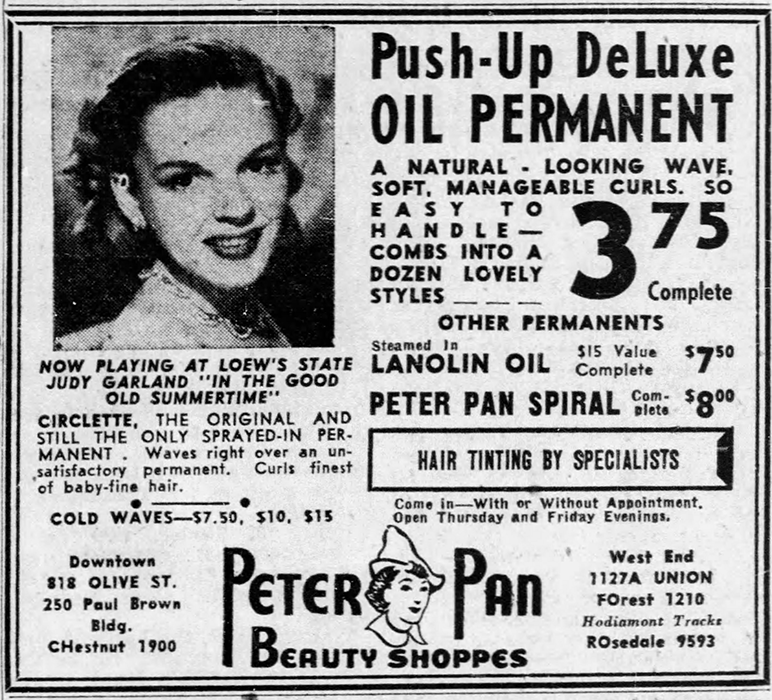 And Judy is again seen in an advertisement. 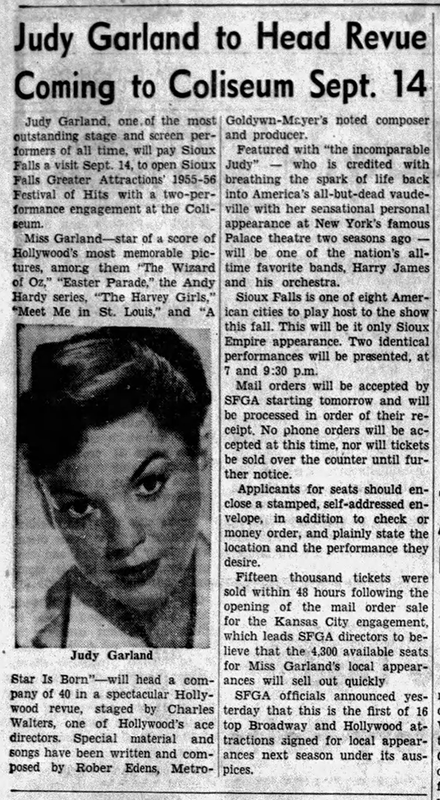 July 24, 1955: This article and advertisement/order form appeared in the Sioux Falls, South Dakota Argus Leader promoting Judy’s upcoming concert there scheduled for September 14th. That concert never happened. 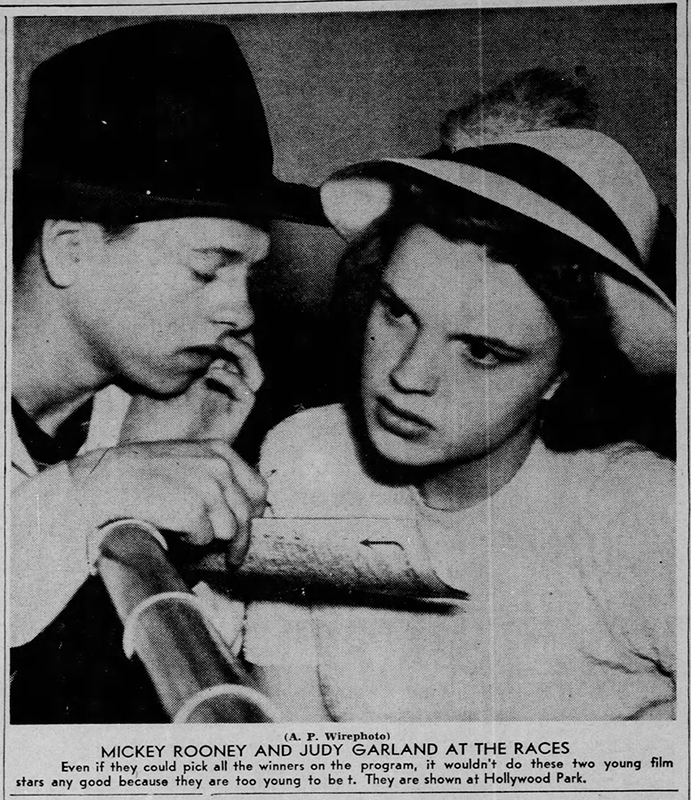 This engagement was one of the casualties of Judy and Sid canceling the rest of the tour after the July 19th show in Vancouver, British Columbia, Canada (see third clipping above from August 11th). 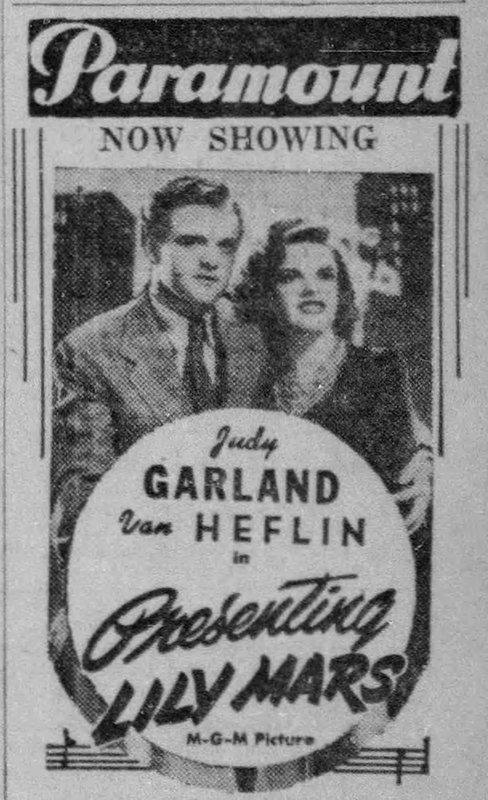 Luft cited a clause in the contract that stated Judy could cancel the dates without repercussions if she was needed for film or television work. 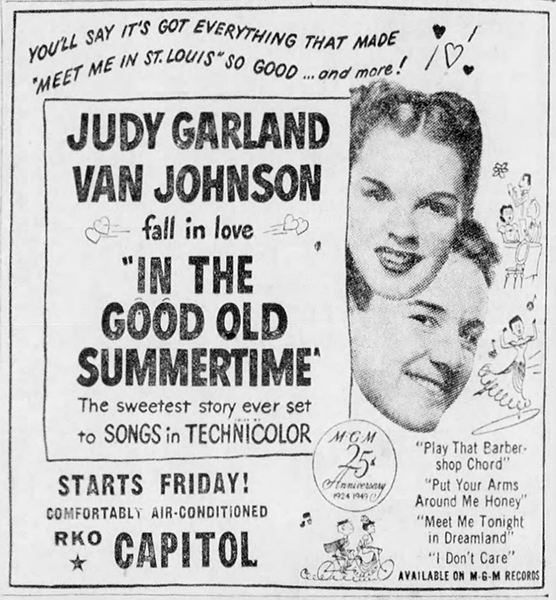 The result was Judy’s first TV special which aired on September 24, 1955, not long after Judy signed a recording contract with Capitol Records that August. 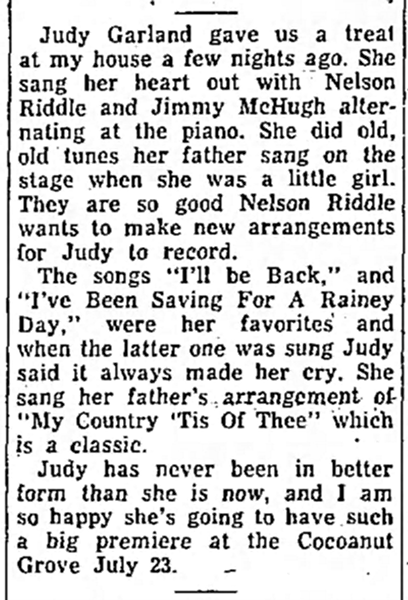 July 24, 1958: Louella Parsons gives a detailed account of Judy singing at her home during a party apparently given by Parsons. 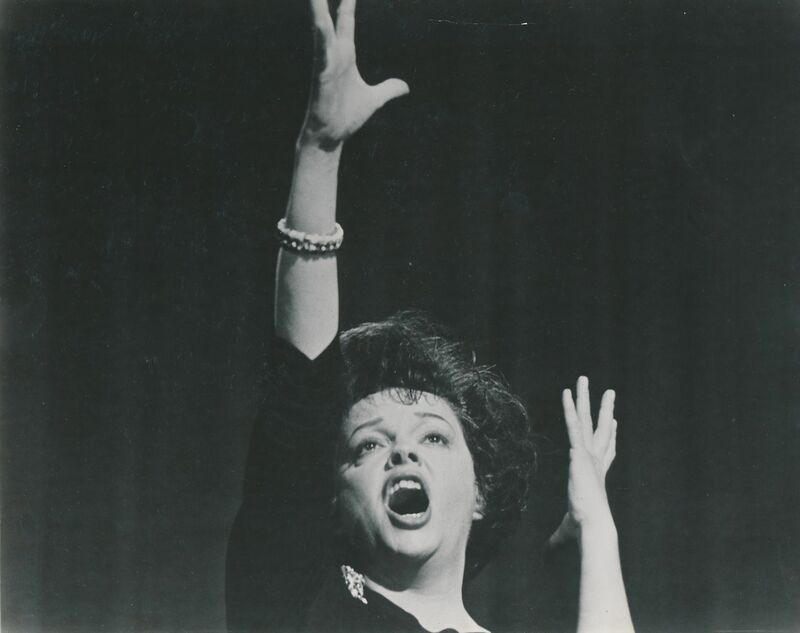 This is a great example of the many stories told in awe by those in the Hollywood social scene about how Judy would sing her heart out at parties, sometimes all night if she were up to it. It’s unfortunate that no one recorded Judy during one of these parties. I still have hope that at some point a recording will surface. 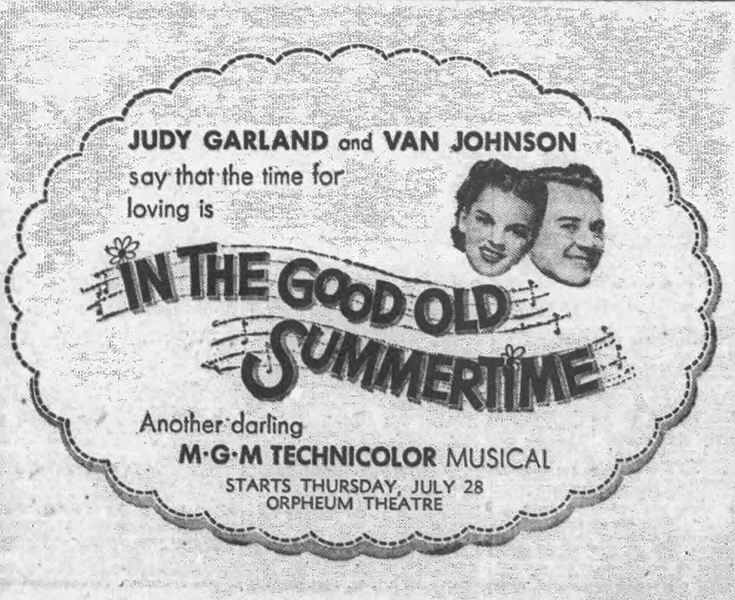 Hopper’s column was written well before July 24th as evidenced by her mention of Judy’s upcoming premiere at the Coconut Grove on July 23rd. Photo: Judy with her “Number One Fan” Wayne Martin after her Grove opening. 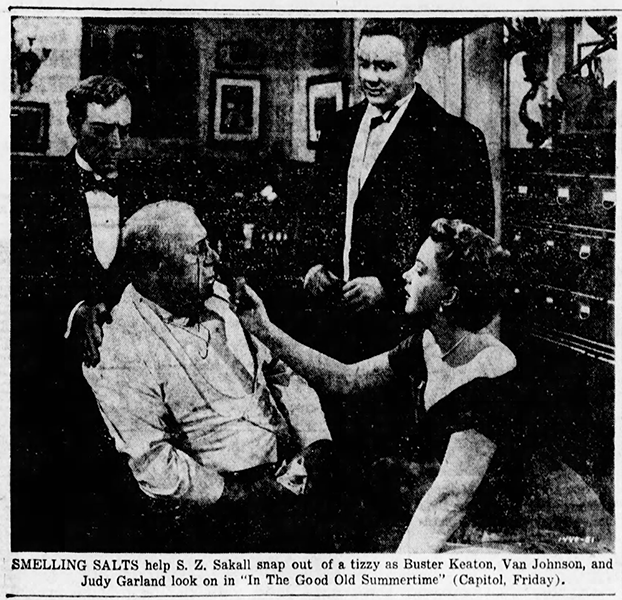 July 24, 1962: Judy was in England filming I Could Go On Singing. Here is the “call sheet” for this date’s filming. 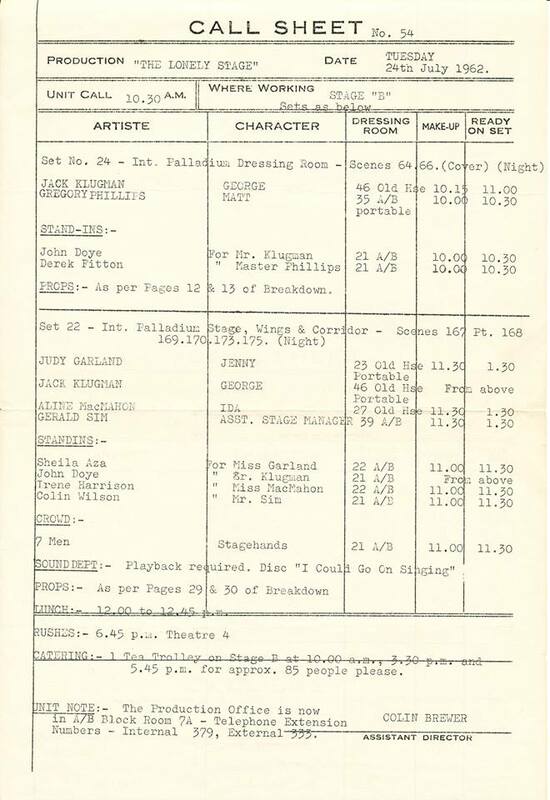 Note that the scenes being filmed were on “Stage “B” and included the “Interior Palladium Dressing Room” and “Interior Palladium Stage, Wings & Corridor” sets. 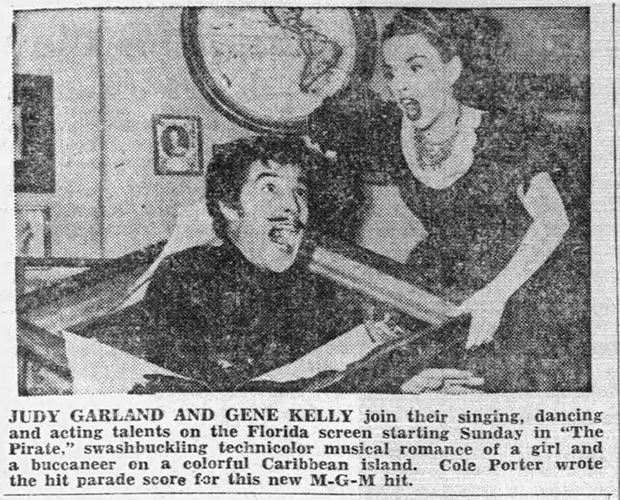 Also included was some of the filming on the “I Could Go On Singing” number which is noted by the note to the sound department: “Playback required. Disc ‘I Could Go On Singing. '” The title of the production at this stage was still The Lonely Stage. 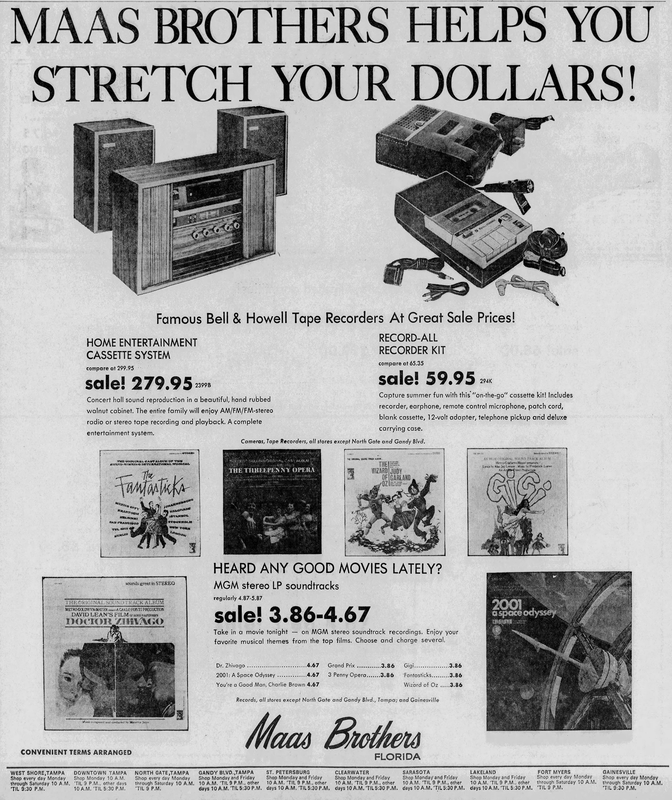 July 24, 1970: Here’s a fun advertisement for MGM records. Many of us grew up with the soundtrack albums shown here, and many more from MGM Records. 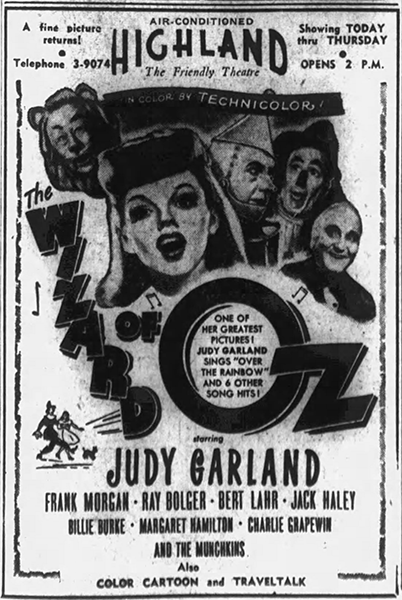 There’s never been any reason given for the artwork showing Dorothy in a completely different outfit and what Judy wears in the film. 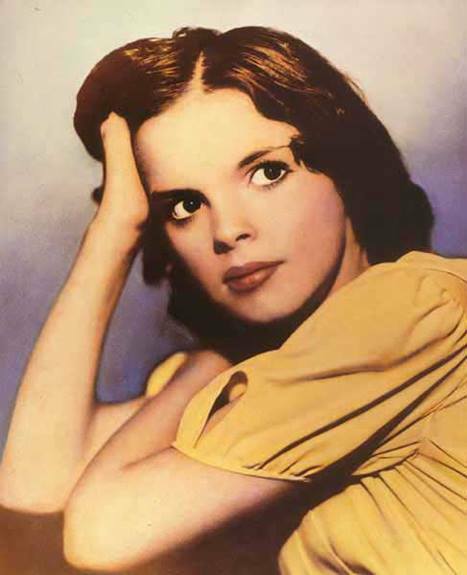 Check out The Judy Garland Online Discography’s Soundtracks Section for details about all of the many releases of Judy Garland’s soundtracks on LP and CD (and more!). 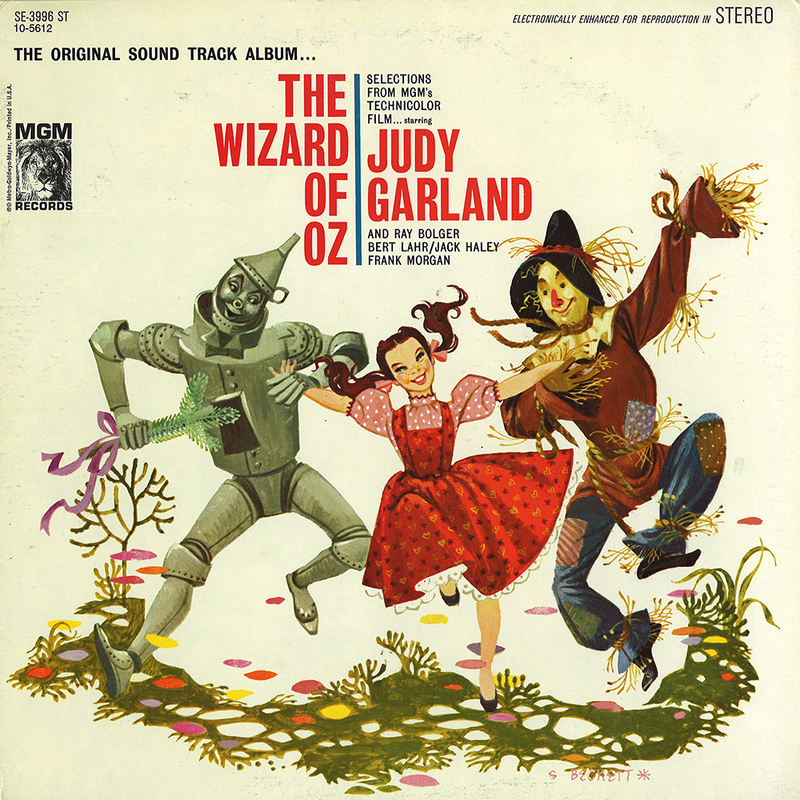 I have that record of The Wizard of OZ… My Grandma gave it to me years ago along with MGMs Till The Clouds Roll By, with most of the records smashed.